Walking in the snow. Visibility during the 1 km walk from KHO to ESR was not really perfect, nor was the walk not too hot. A good start of an arctic action day at ESR. The field trip to Kjell Henriksen Observatory and EISCAT Svalbard Radar during the Longyearbyen Science Camp revealed how actual work in science is done. 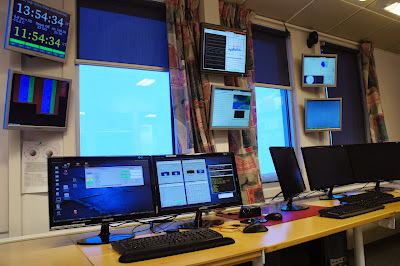 A vital part of research is getting your data, in this case using the highest quality ground-based instrumentation for Space Weather measurements. 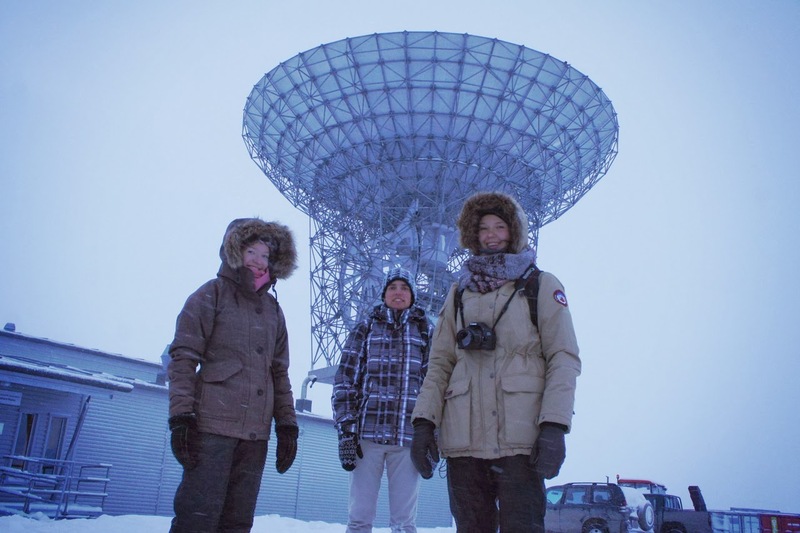 As reported previously, Professor Fred Sigernes welcomed the group at KHO with a comprehensive lecture about the the scientific quest for knowledge and understanding Nature's most beautiful light show, the Aurora Borealis, the Northern Lights. He also had a very special task after introducing all the fancy optical instruments of KHO. Longyearbyen as part of Svalbard archipelago belongs to the realm of a special protected animal: the polar bear. As KHO and ESR are located 10 km from Longyearbyen on gently rolling slopes of a mountain, it is important to follow the all safety regulations. These include a need of a an armed guard when moving in the field anywhere outside of the town centre. 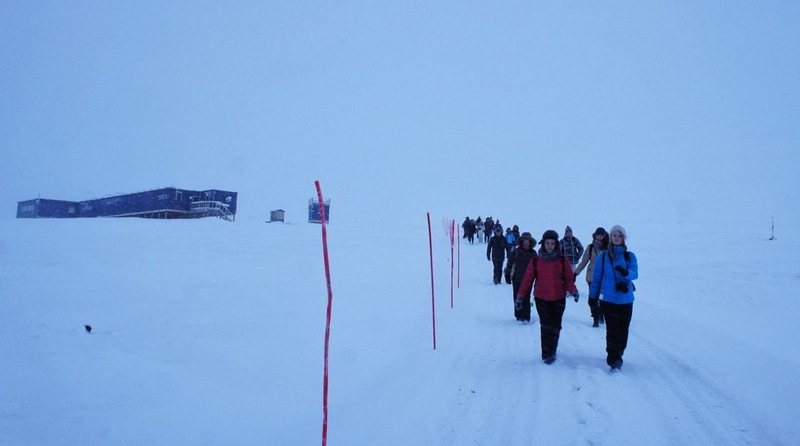 While the students arrived to KHO by bus transfer, the 1 km distance between KHO and ESR was left for a snowy walk, in -15°C temperature and moderate northern mountain wind. Prof. Sigernes followed our group carrying his rifle, securing a safe walk down to the radar. 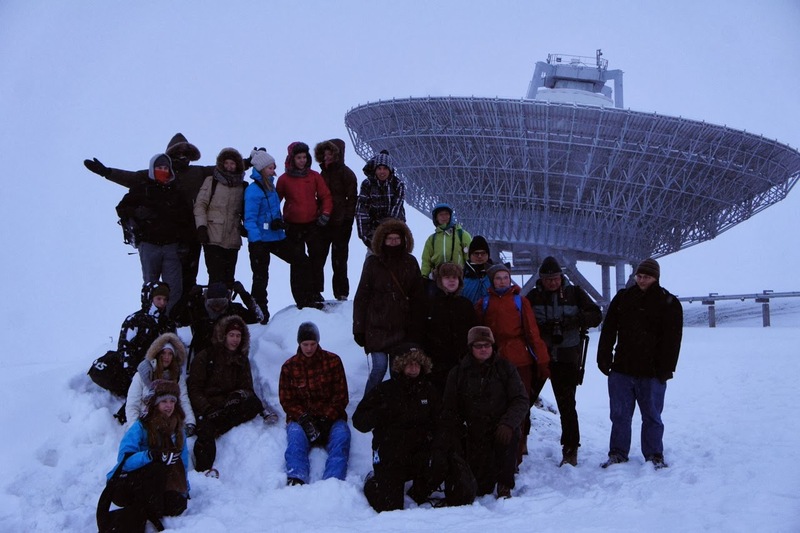 The student group photo in front of the fixed-pointing ESR 42m antenna. Lunch at the coffee room of ESR site. At ESR, after a Norwegian light lunch, consisting of a cheese baguette, bottled water and a fruit, we met the ESR Site Manager Halvard Boholm. 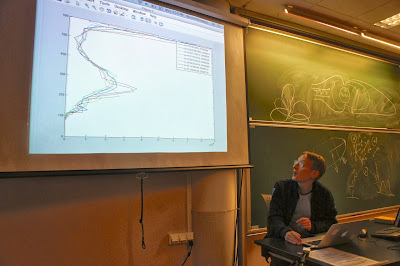 He explained what the huge 42 and 32 meter antenna dishes are used for, and showed the technical and operational details of the incoherent scatter radar. ESR transmitter hall with the 1.5 megawatt transmitter. The movable ESR 32 m antenna. 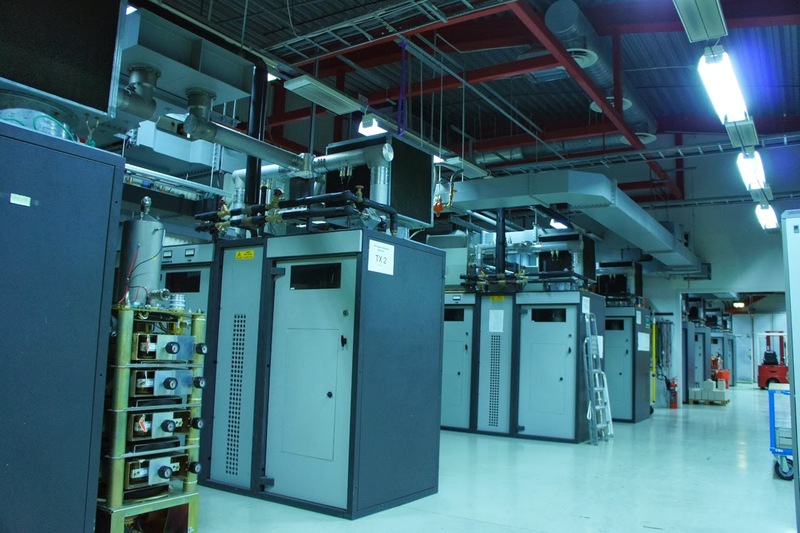 Visiting the control room and the transmitter hall of the 1.5 megawatt radar is an impressing experience, very similar to visiting the underground facilities at large particle accelerators. Returning back to UNIS Dr. Noora Partamies once more went through yesterdays radar data in lecture hall and prepared everyone for the evening exercise: Hunt for aurora using your own camera. Dr Noora Partamies explaining variations of electron density profiles during the moderate aurora on Tuesday. Unfortunately the skies did not clear up enough and the evening was mostly cloudy. We saw from instruments on web that faint aurora is visible south of Longyerbyen, but the main photograph of the evening session turned out to be a light painting, where students formed the letters of the word Longyearbyen in the air. They used the illumination from their mobile phone displays. After returning back to hotel, one of the students however persistently went out to check the skies. In the end he managed to get a photograph of a weak auroral arc in the horizon. The phenomenon was named the "Sakari Arc" accordingly. 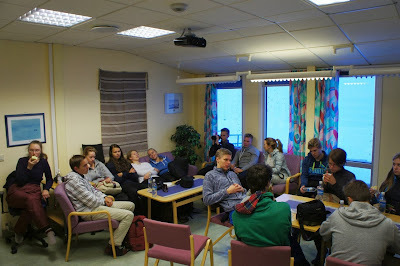 Text and photos: Esa Turunen.